Quite possibly my favorite part of doing a Whole30 is the mandatory encouraged consumption of avocados. Smashed up into guacamole, chopped up in a salad or scooped right from the shell, I’ll take them any way I can get them. Lately my go to breakfast has become scrambled or soft-boiled eggs, a piece of fruit and depending on what kind of day it is, a quarter or half sliced avocado. There have been days where avocado has appeared in all three meals–sliced for breakfast, guacamole on carnitas for lunch and diced in a salsa for dinner. Excessive, maybe, but I don’t ever regret it. One of my favorite things about being part of the Secret Recipe Club is getting to know new blogs. When I was assigned to The Egg Farm, I knew I found a new favorite blog. Mary is an amazing person. Over a decade ago she was diagnosed with a terminal illness that has since been upgraded to incurable and progressive. Yet, even still Mary knows how to enjoy life. Four years ago she bought a 5 acre farm in California and has been living there ever since. 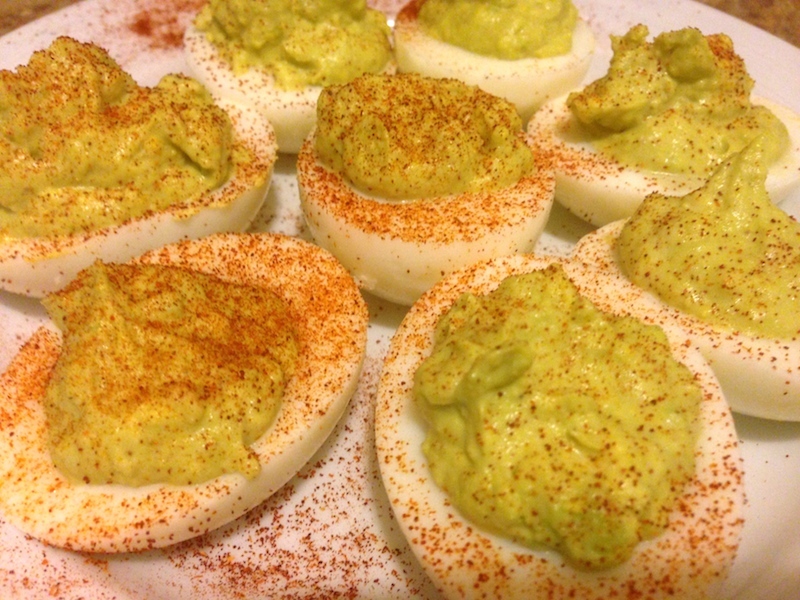 With a blog called the egg farm, a lot of her recipes involve, of course, eggs! One of my favorite food groups. As always I had more ambitious plans. Mary’s Potatoes O’Brien and Eggs looks amazing and I’ve yet to attempt hash, like Mary’s Homemade Corned Beef Hash. Sadly, as with most best intentions, life gets in the way. The past few weeks have been a bit hectic and it doesn’t seem to be ending anytime soon. All good things of course–vacation, family visits, weddings–but less time to spend trying new things in the kitchen. 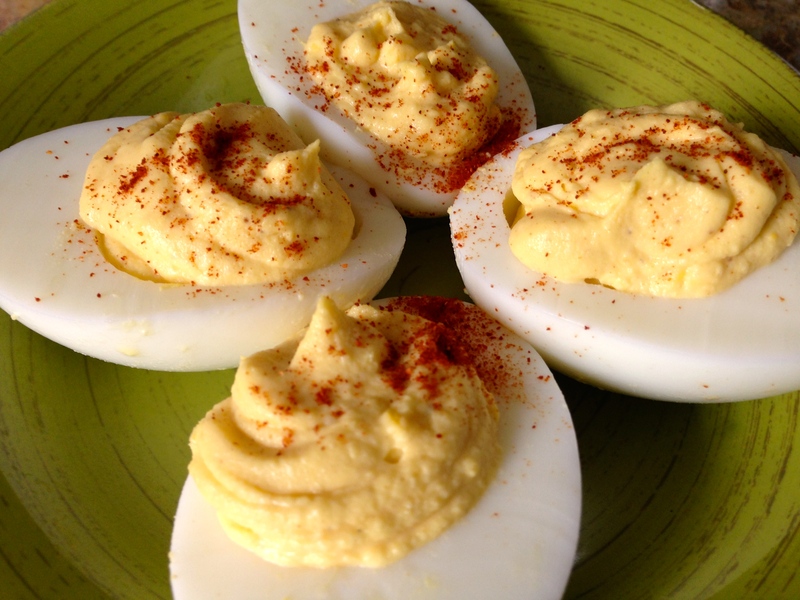 For quick and easy I was instantly drawn to Mary’s Perfect Deviled Eggs.